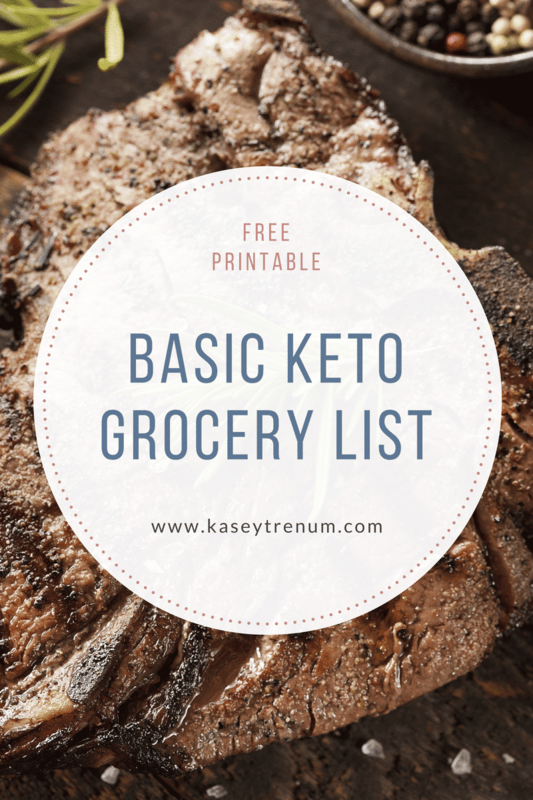 Below you will find my Top 16 Keto Walmart Grocery List Items. 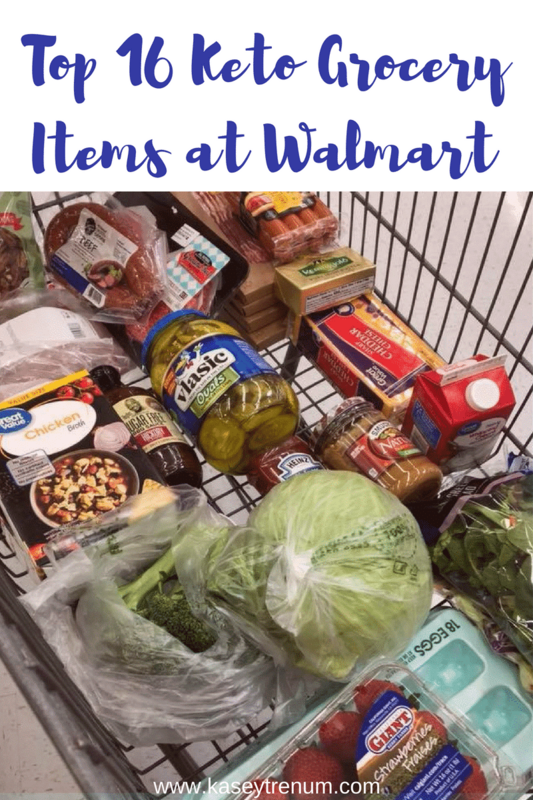 Walmart is available in almost every area of the US, and that means it is often the go-to grocery store for anyone on a keto diet. 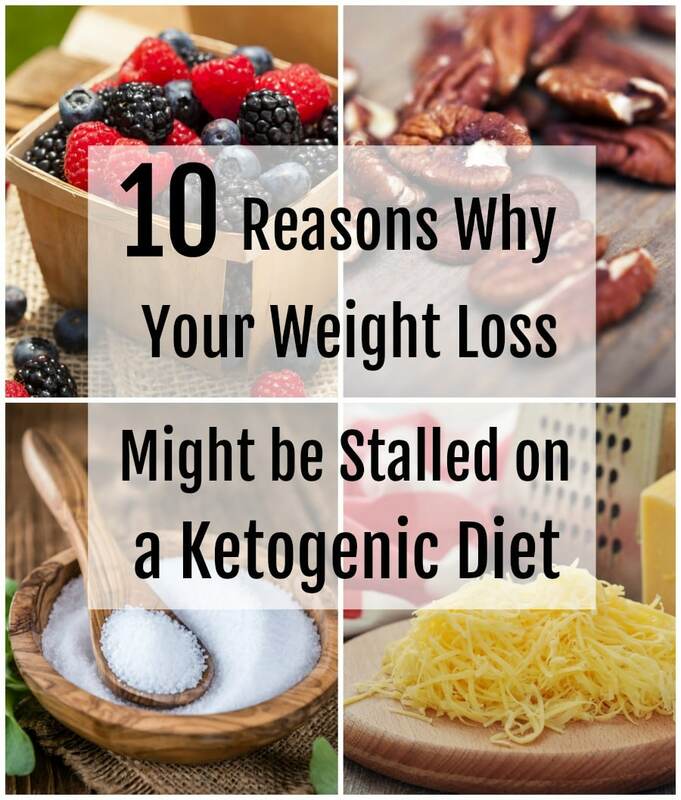 I hope this list helps make your keto journey easier to manage! Since I posted my Very Basic Keto Grocery List and Amazon Keto List, I thought that perhaps a list of Keto staples at Walmart might be helpful. I also run into ALDI sometimes (here is an ALDI keto grocery list), but with four kids I try to stick to one store per week. 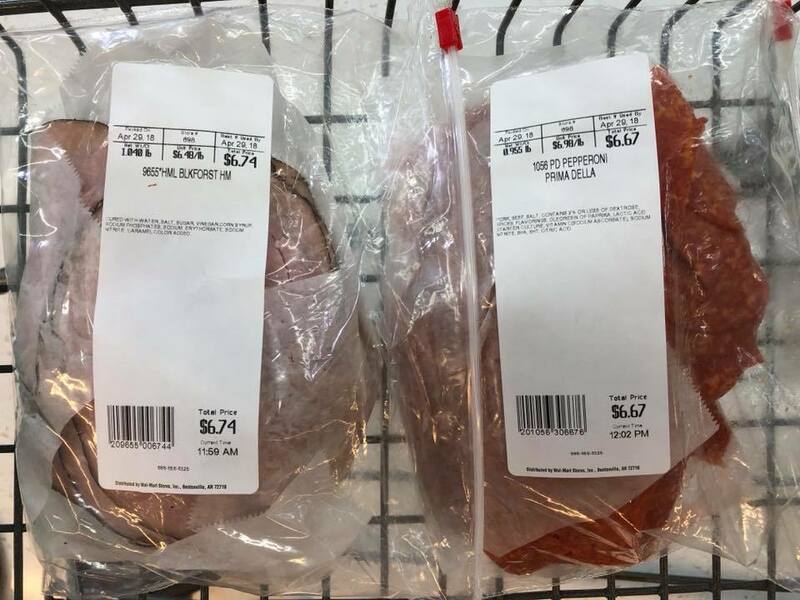 I took pics of many of the Keto food items at Walmart that find their way into my grocery cart each week. I know that inventory can vary from store to store, but this should give you an idea of what to look for when you are shopping. I narrowed my list down to the top 16, although clearly there are more items in my cart in the pic above. We mainly shop the perimeter of the store then add fresh produce and meats. My shopping trips are certainly much quicker now since we skip half of the store. There are tons of other keto items you can buy at Walmart, but these are the ones I use the most often. Hello, heavy whipping cream, who knew I would use you every single day of my life. Heavy Whipping Cream was a new item I had never bought before Keto. Now, I use it each morning in place of creamer in my coffee as well as in many Keto desserts and meals. 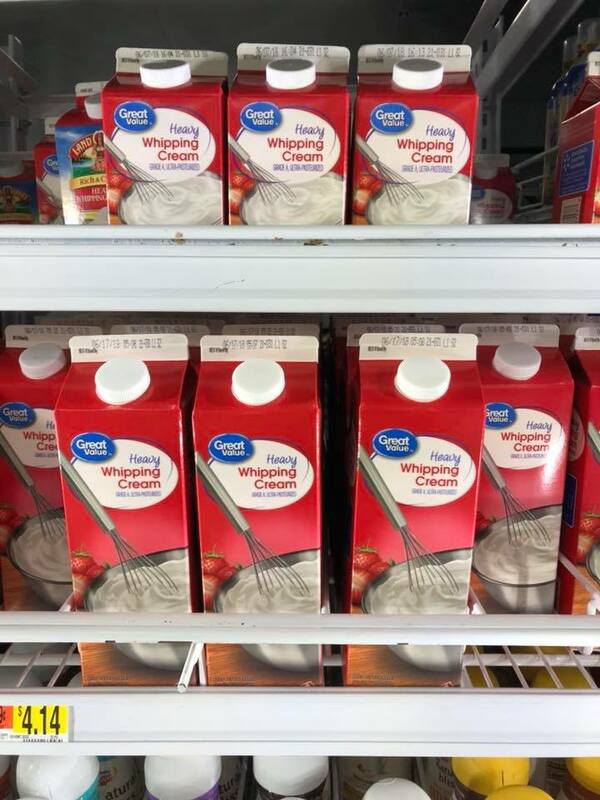 We go through quite a bit of cream cheese. I use it in many different desserts and sauces like Peanut Butter Fluff and Creamy Parmesan Pork Chops. 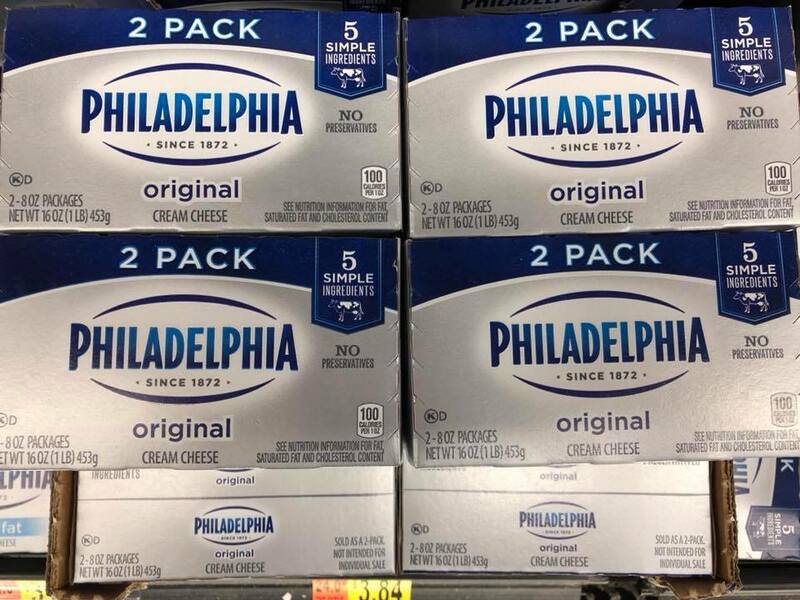 I prefer to purchase the Philadelphia brand as it contains fewer ingredients and it has less carbs. If it fits in your budget, grass-fed Kerrygold butter is best. 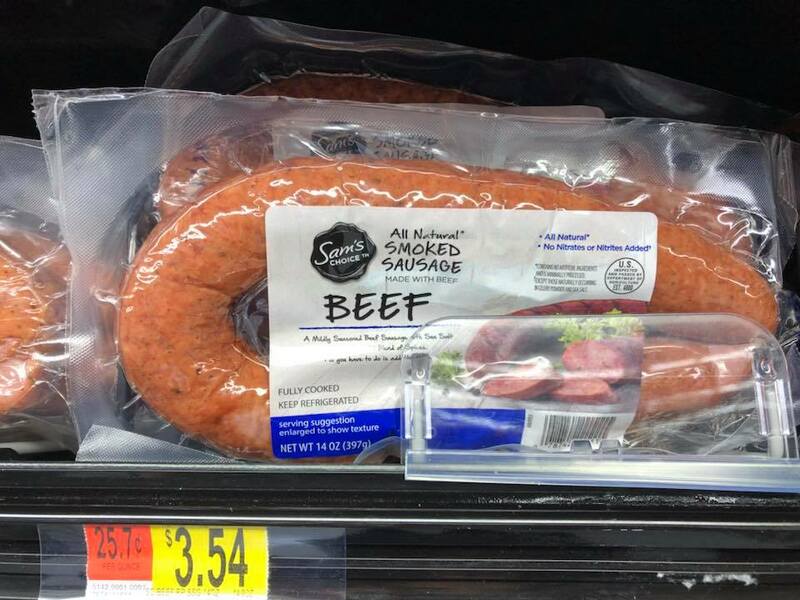 My hubby loves this nitrate free beef sausage. I use it in my BBQ Smoked Sausage & Cabbage one skillet meal. Is it possible to buy too much bacon? I don’t think so. 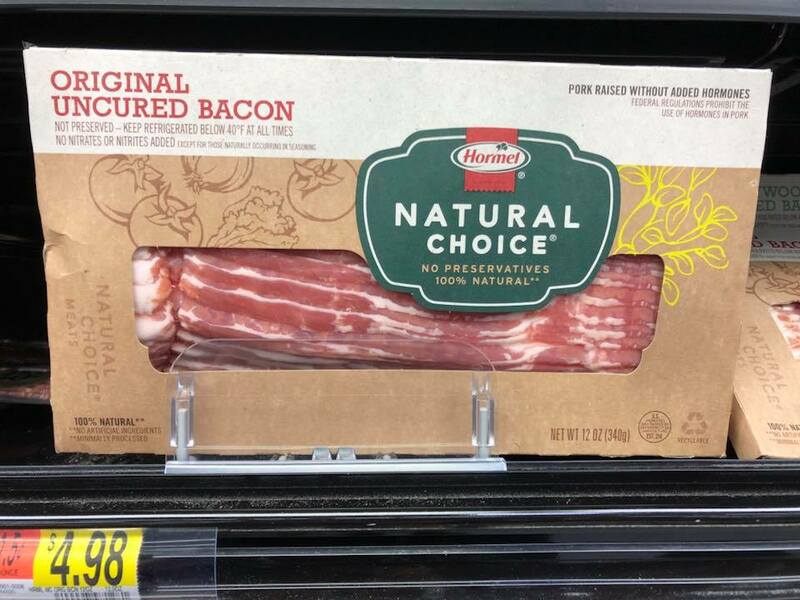 This brand and variety is our go-to bacon because it is nitrate-free. We may not be able to buy all of our meats grass-fed or everything organic, but we can take small steps where we can. 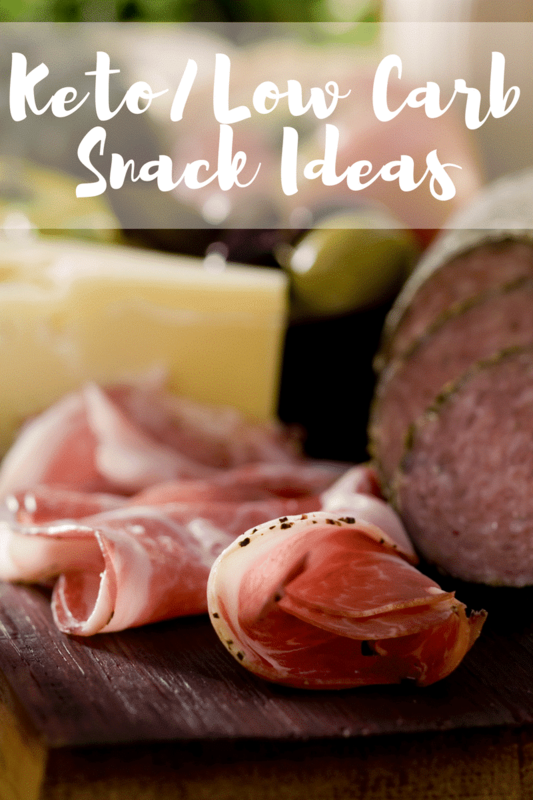 We have recently discovered deli pepperoni and may never go back to the prepackaged kind. I also buy either smoked ham or black forest deli ham each week to make Hot Ham & Cheese “Unwich” Casserole or Hot Ham & Cheese Roll-ups. 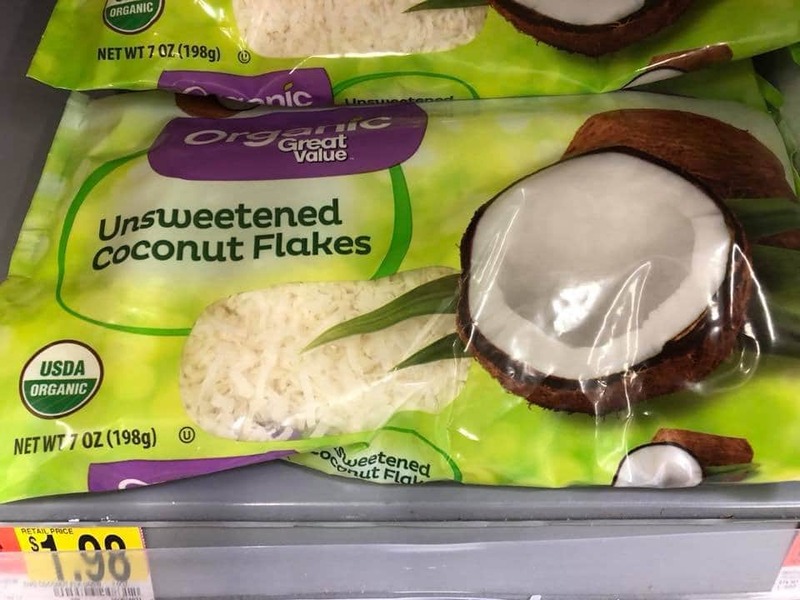 I would never have thought that I would love unsweetened coconut so much. This brand is my favorite since it is organic, priced right, and finely shaved. I add it to whipped cream with Lily’s Chocolate Chips and roasted pecans for a quick treat. Keto German Chocolate Bars are also delish with unsweetened coconut. 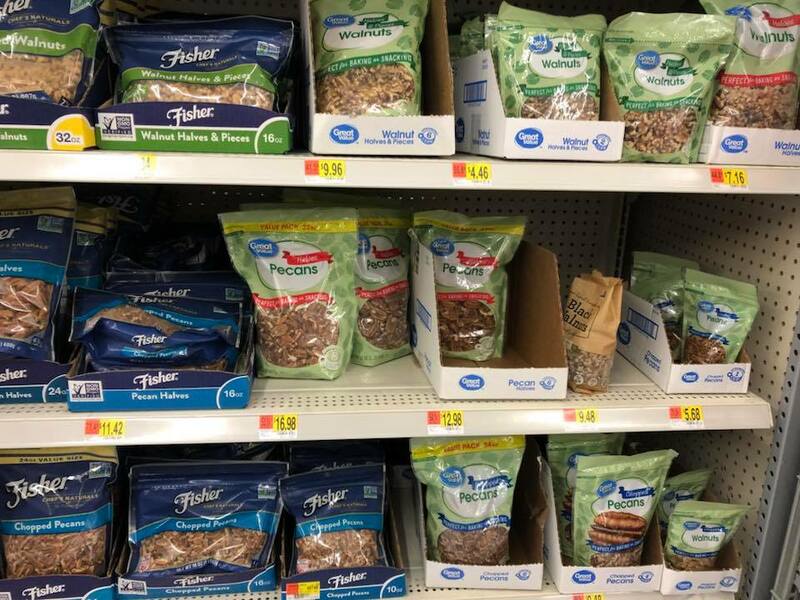 Walmart has a huge variety of nuts. Pecans and walnuts are my personal favorites. 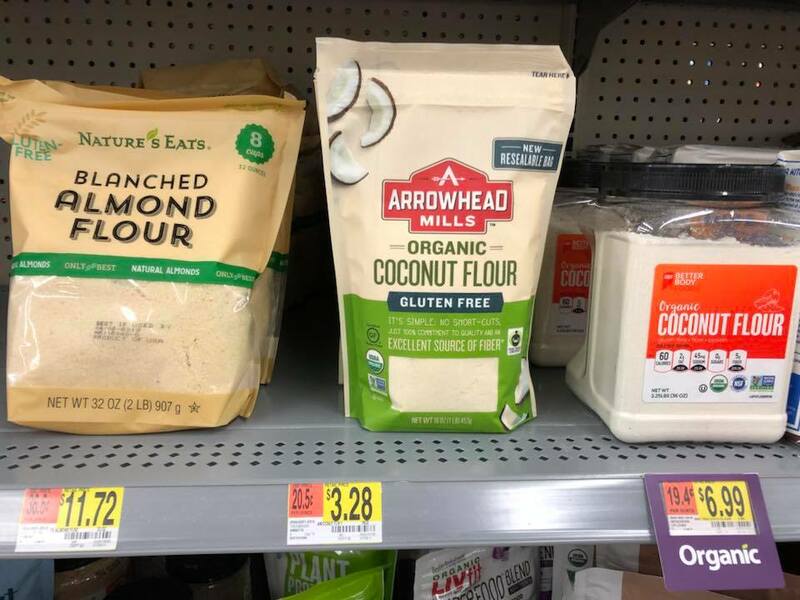 Keto approved flours are very different than their white gluten filled fluffy counterparts. It does take some getting used to the texture when you first make the transition. I personally cook with coconut flour because my daughter is allergic to almonds, but many people bake with almond or a combination of the two. 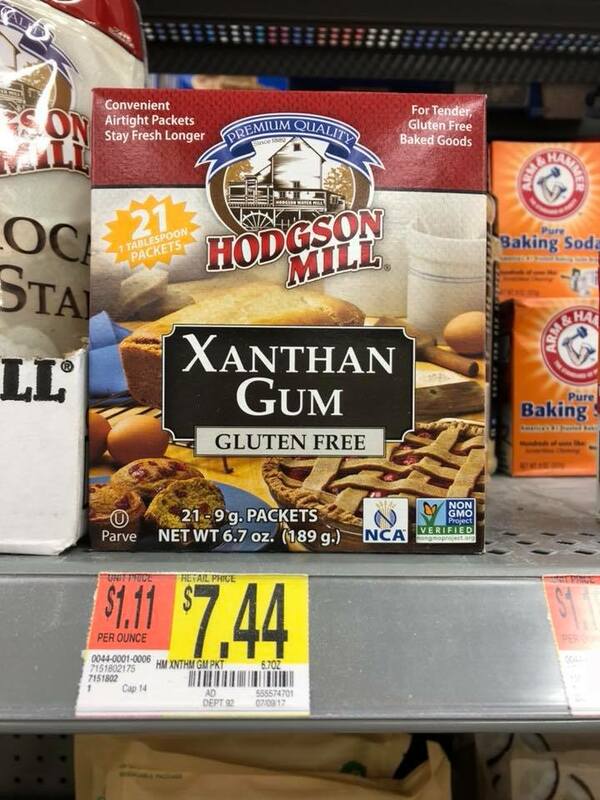 Xanthan Gum is a keto approved thickening agent for soups and sauces. It is also used in baking. I think this is a specialty item that isn’t available in all Walmart stores. 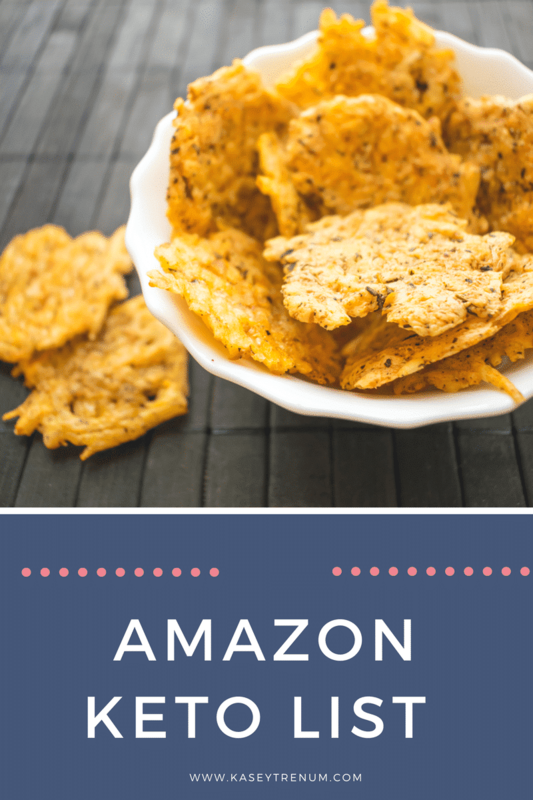 If you can’t find it locally, Amazon offers a variety of options. I just started using Pyure liquid sweetener in my coffee. Amazon offers a vanilla flavored Pyure that might be yummy in coffee as well if you are missing flavors. 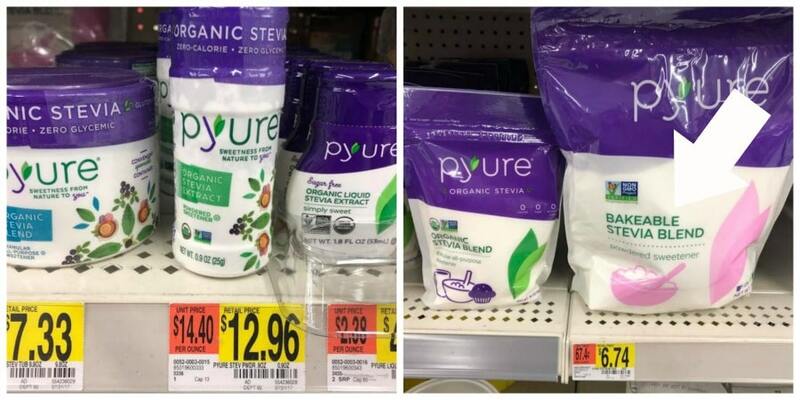 They also carry a bag of Pyure sweetener that is a bakeable stevia blend (see arrow). You will want to avoid this particular product as it contains maltodextrin, which most avoid on a keto diet. All of the others are fine. I don’t eat this by itself as it is too bitter, but when I shave it and add it to my Peanut Butter Fluff, it is delicious. 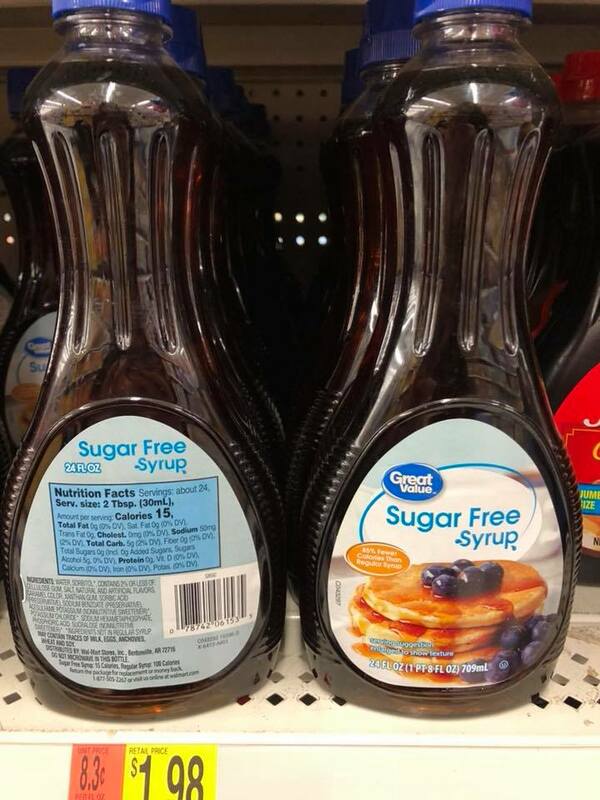 I checked all of the sugar-free syrups, and the Walmart brand was the only one that didn’t include aspartame. 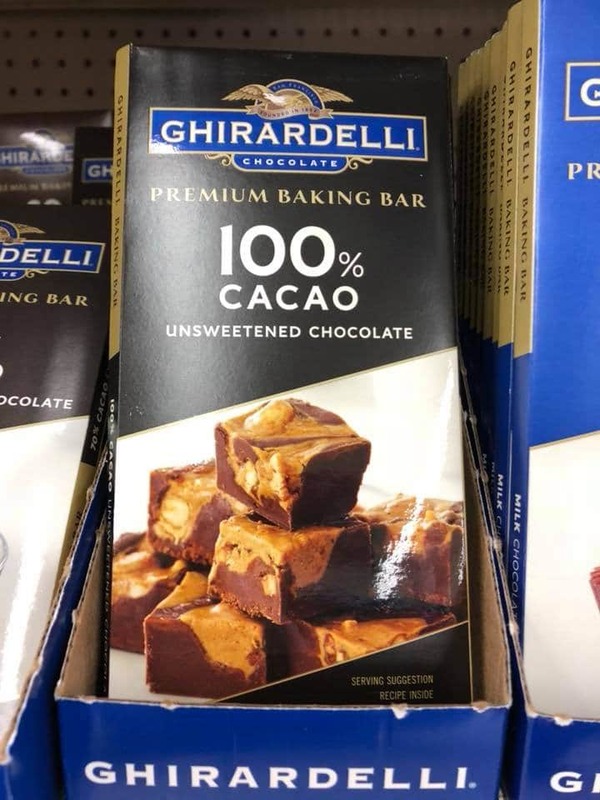 Instead, this one has sucralose, which many people avoid on a keto diet. However, it doesn’t stall me. If you are looking for a completely clean syrup, Lankanto makes a maple syrup sweetened with monk fruit that you can find on Amazon here. This is just one of the lower priced items I think is a great deal to have on your Walmart grocery list. 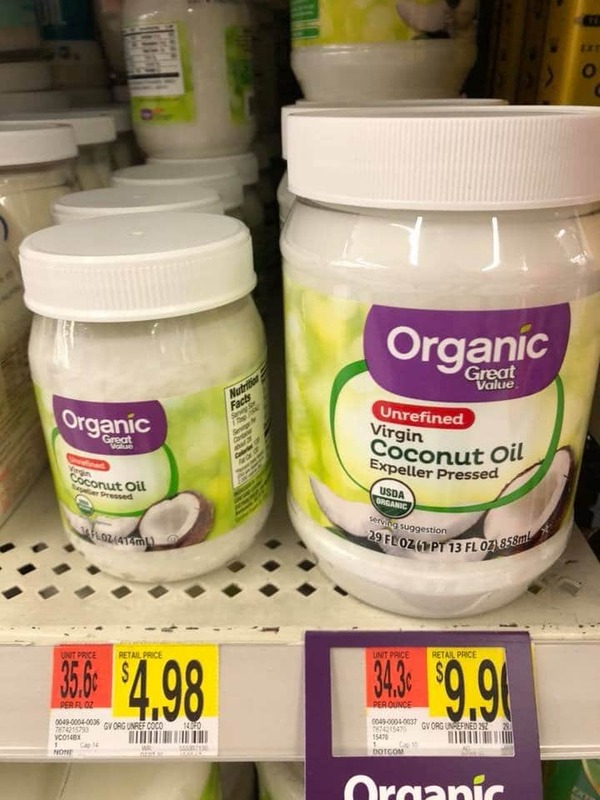 Coconut Oil is a keto approved oil that is used in many different recipes. 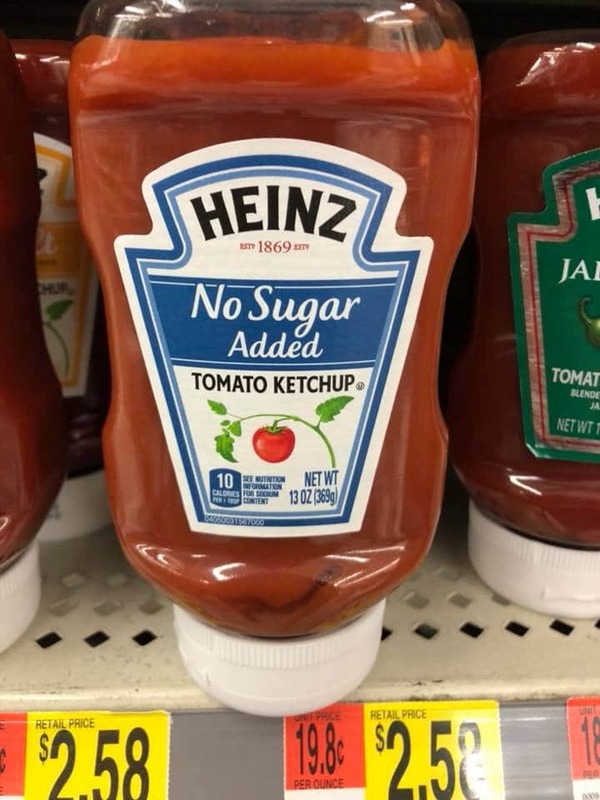 I’m so glad I don’t have to give up ketchup entirely. This is another one of those items that are up to each individual as it contains sucralose. But, I don’t eat it very often so it is okay with me. 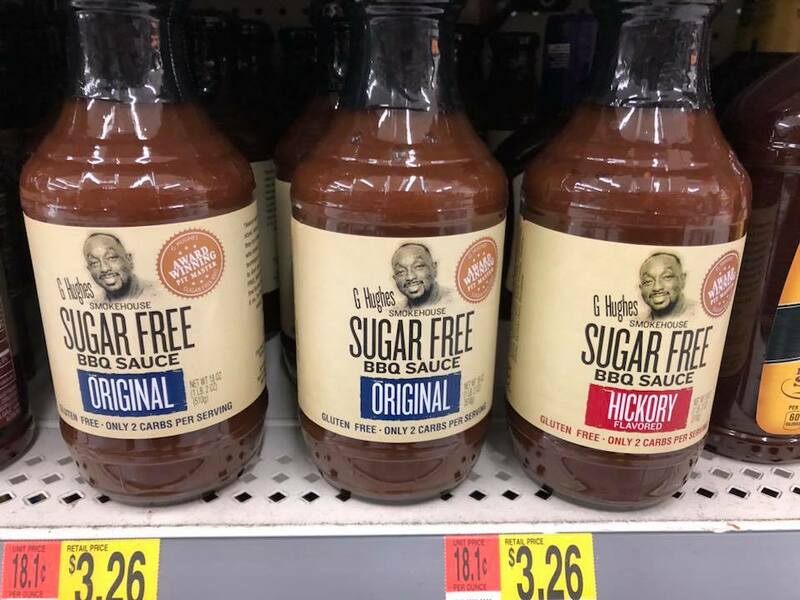 This G Hughes sugar-free bbq has brought life to many of my recipes like BBQ Chicken & Bacon or Farmhouse BBQ Muffins. I would stick with the original flavor or hickory. This also contains sucralose. Some eat peanut butter on a ketogenic diet while others don’t. I belong to the camp that does. You always want to make sure that the only ingredients are peanuts and salt. 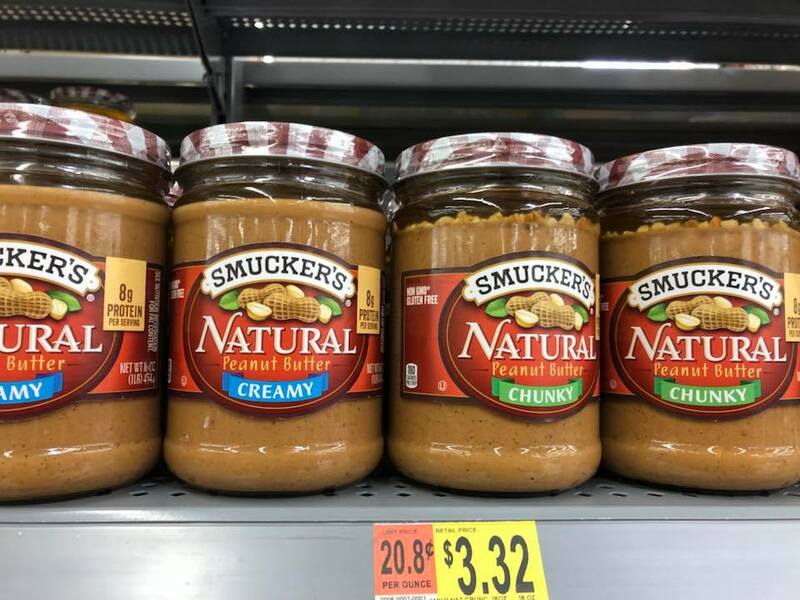 Smucker’s Natural chunky is our personal favorite. If I am making riced cauliflower, I promise it will never happen by hand. This busy momma does not have time for all the steps it would require to start with a head of fresh cauliflower. 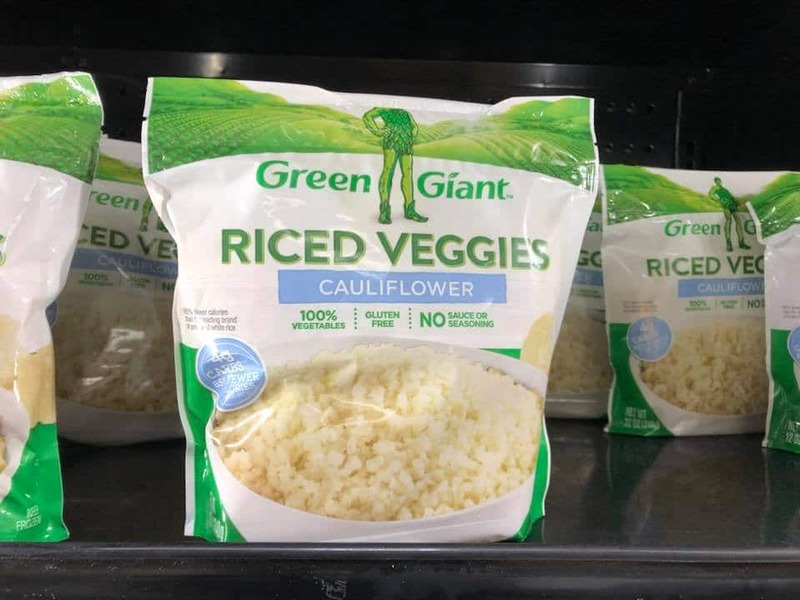 Thankfully, I don’t have to since riced cauliflower is available in the freezer section of the grocery store. 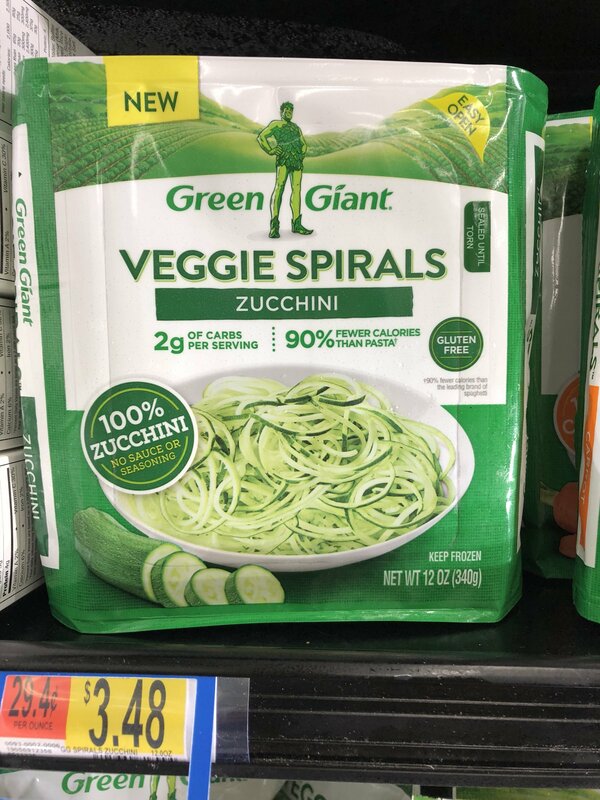 It is easy to find and affordable so definitely a must on the Walmart grocery list. 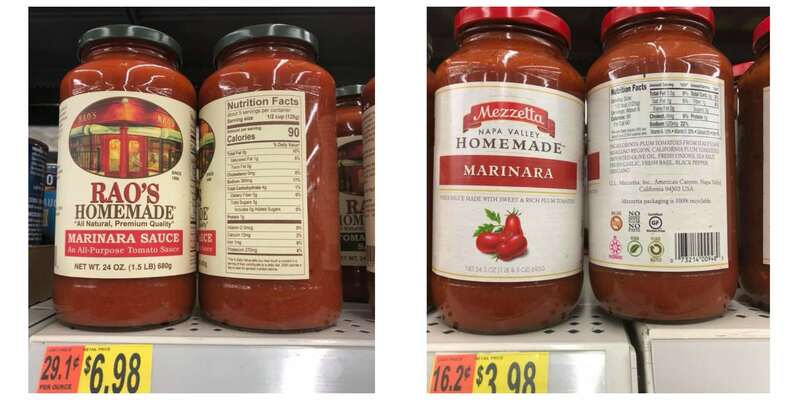 After looking at the nutritional information of many different marinara sauces at Walmart, I have found that these two have the least amount of carbs. The biggest difference is that one cost significantly less than the other. Walmart is like the mothership when it comes to cheese. I love buying the cracker slices and deli slices to make Homemade Cheese Crackers. There are tons of different varieties. I could get behind this product for busy nights. 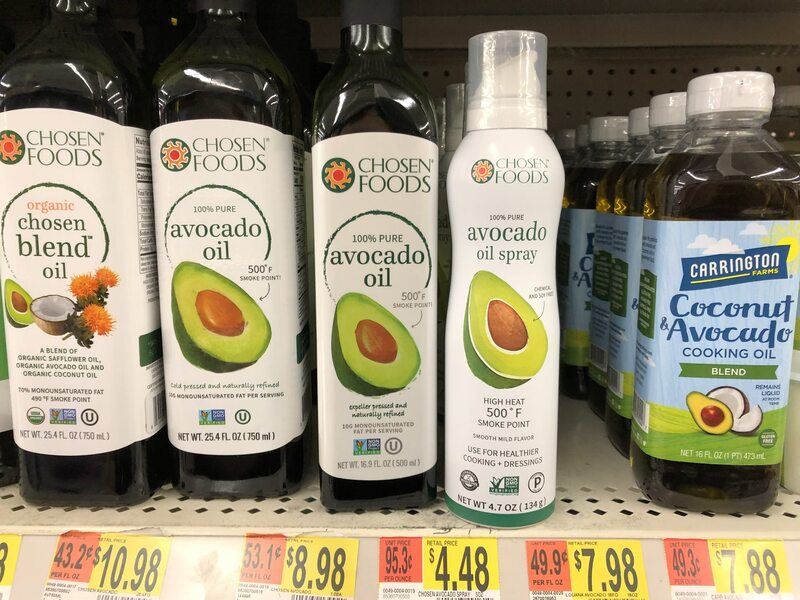 I’ve never personally used avocado oil, but it is on the list of keto approved oils. 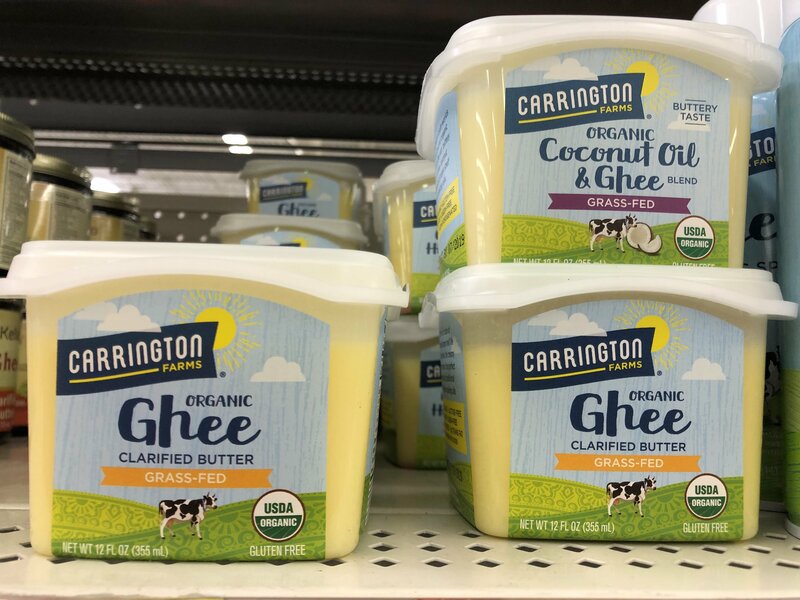 Organic Grass-fed Ghee is another item I haven’t tried but have seen mentioned in many Keto groups. 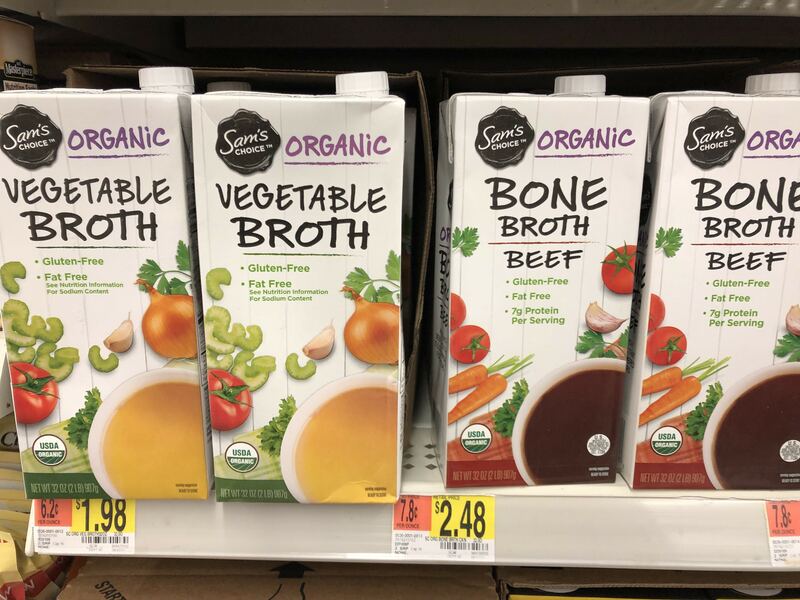 I know bone broth has many health benefits but I haven’t tried it yet. I didn’t realize Walmart carried it. 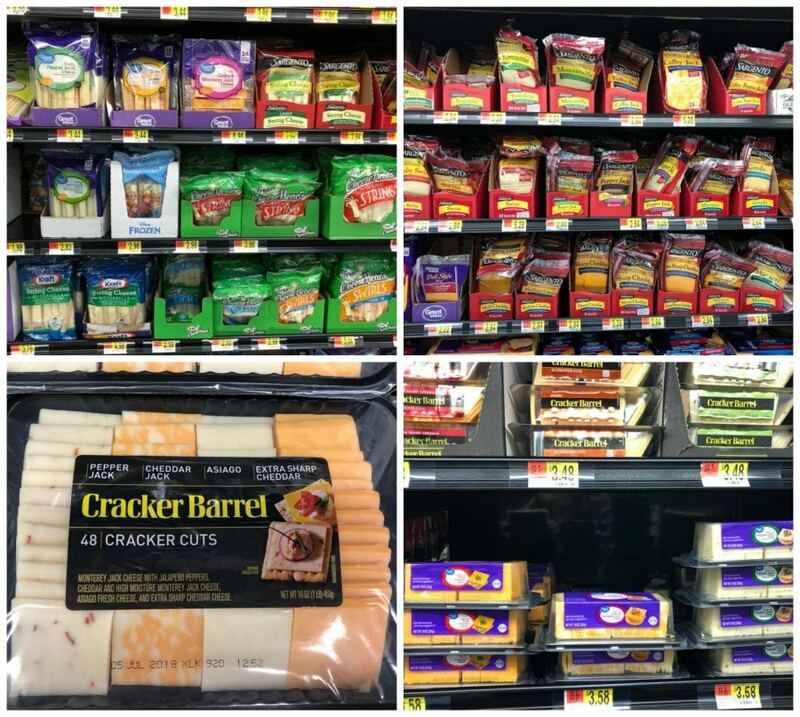 Of course, these are not all of the keto items that Walmart stocks. I just wanted to make a quick list of some of my staple grocery items that I keep stocked. What would you add to this keto Walmart grocery list? Very, very helpful. Thank you so much! Just beginning this diet or lifestyle so everything is new but I have lost weight & I love veggies anyway so that part was easy. I’m concerned about the protein; too much or not enough? I do read labels but really not sure about many of them. You’re a life saver!! Ahhh am so happy. You literally just made life so easy for me. This was very helpful, I wish you could make a more comprehensive list of all the items needed for keto and the best best brands. Am moving to the United States and that will be helpful to me. Thanks!!!! What are your meals like Gale Hubbard? Thanks for all the info, Very helpful! I live in Canada and sadly the Walmart here does not have ANY of these items! And your prices are amazing!! I have to go to specialty stores for many of these items and 4 or 5 times your price. 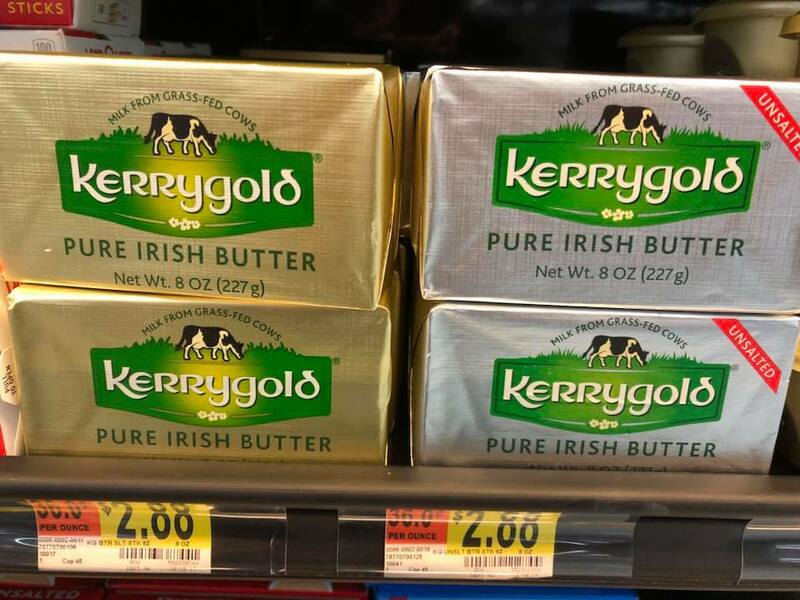 Kerrygold butter is nowhere at any price. Almost makes me want to take a run down to the US to stock up. 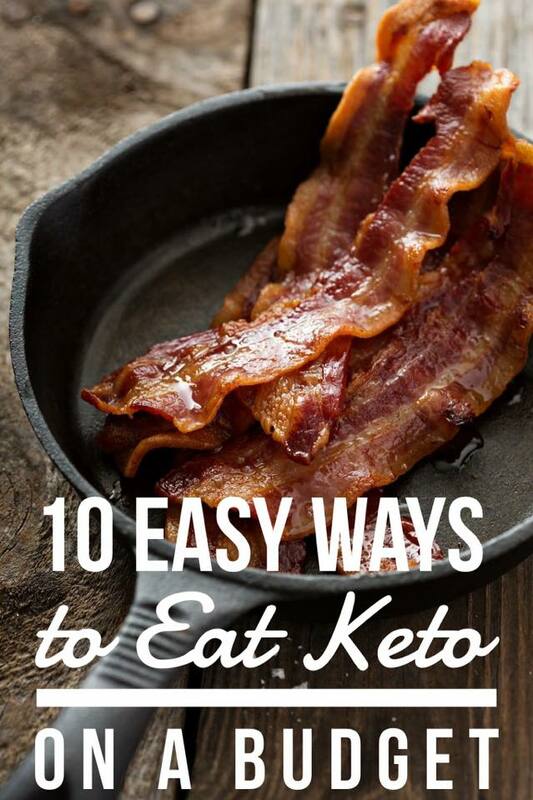 I am just starting Keto and this has truly been so helpful to me. I was lost as to what to buy, where to buy. So Thank You! Great, KB! Glad to help. It is not necessary. Glad you’ve lost inches! Love, love, love your blog. Your recipes are fantastic, so easy and quick. Just what I’m looking for. Have been “Dirty” Keto for 2 years now. Love all the delicious food. Folks just don’t know what they’re missing, not to mention being able to lose and keep weight off. Anyway, I am a faithul follower now. Thank you so much for your blog! Thank you so very much for your kind words of support! I appreciate it so much!